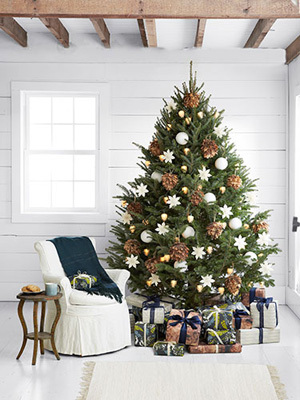 Artificial trees may have increased in popularity due to practicality but for the purist, only a real tree will do because no artificial tree can compete with the scent of a real evergreen when you enter your home. 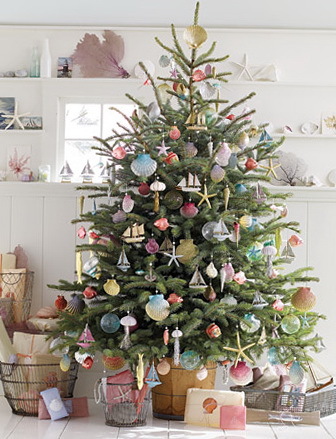 And for all those early bird Christmas tree lovers, this blog post will cover some helpful tips on how to maintain your tree until the holidays and slightly beyond. Some may be extremely obvious but regardless we hope you find them useful especially since the trees don’t last as long being in a hot climate! Since Christmas trees are imported, they would have been pre-cut a while ago. Once a tree has been cut, the sap in the tree will start sealing over the base and this will hinder its ability to absorb water. Therefore to aid water absorption, it’s vital for your tree to make a cut across the bottom (only a straight cut) and remove 1” or 1.5” off the bottom. Once your tree has been cut, you should get it home and put it into water as soon as possible. This is a must because within the first few hours that it’s settling in, it will drink water like crazy like a full gallon/3.7 liters on the first day kind of crazy. 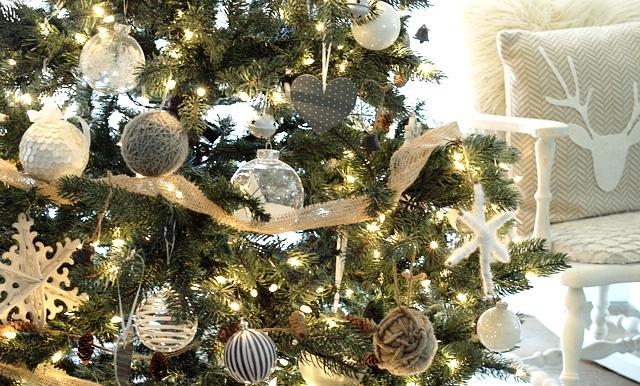 If you are undecided about where to place it in your home, still put it in a bucket of water. The water temperature doesn’t matter. Water every.single.day. Water is singlehandedly the most important ingredient to a healthy tree and a rough rule of thumb is that a typical tree might absorb a quart of water for each inch of its diameter. Be sure the tree stand you choose has a large water reservoir as the stand will need to be topped off daily. Let’s first say that there is no scientific evidence behind this next point. But some people swear that by adding aspirin, corn syrup, sugar, oil, lemon soda or other concoctions that it will promote the tree’s longevity. All we have to say is that if you decide to use these tricks, please be mindful of pets or small children who may want to drink out of the reservoir. To a natural tree that has spent years growing in a field, a house is as dry as a desert. Furthermore, a house in the Caribbean is a whole other ball game! 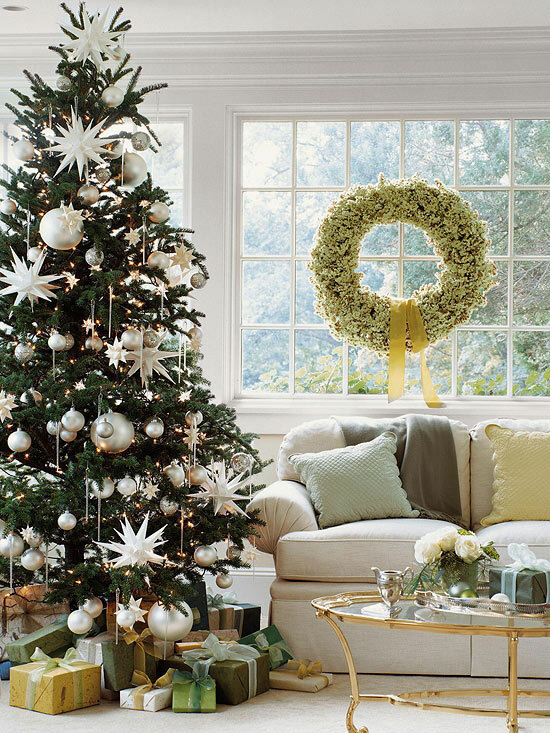 Do your best to place the tree in a cool area. We know this might mean sacrificing the ideal position near large, gorgeous windows where the sun streams in but just try to balance practicality and aesthetics. Lastly, as magical as it seems to come home to a sparkling tree, don’t leave the tree’s lights on overnight or when no one’s in the house as this will contribute to dryness. So in the end, think of your tree as a big, green pet: just as a dog needs fresh water every day, so does your beautiful Christmas tree.